With many states making marijuana legal, there is no lack of discussion about the leafy green drug in the news lately. Unfortunately, it seems that the health benefits of cannabis are being overshadowed by the “drug” aspect of marijuana. 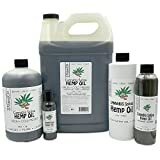 What interests me about cannabis culture, and what I would like to share with you, is an extract known as CBD oil and its amazing medical breakthroughs that could potentially treat many modern diseases, including chronic pain. Cannabidiol (CBD) is the name of a compound found in the cannabis plant. It has significant medical benefits, but lacks the tetrahydrocannabinol (THC)-induced “high” commonly associated with traditional marijuana, and doesn’t have any noticeable effect when isolated. The thing about CBD, or CBD oil, to keep in mind is that cannabis does not necessarily mean marijuana. CBD oil is usually extracted from industrial hemp, which has no psychoactive properties. And while hemp and marijuana come from the same cannabis plant, they are found in two different parts. PreviousAfter You’ve Healed – What Now?